When I wrote my article on the Societas Rosicruciana in Civitatibus Foederatis, I failed to mention the jewel of the order (See Figure 1). It is described as a "Golden Rhombus" meaning that it is a lozenge (diamond) with dimensions based on the golden ratio (see Figure 2). 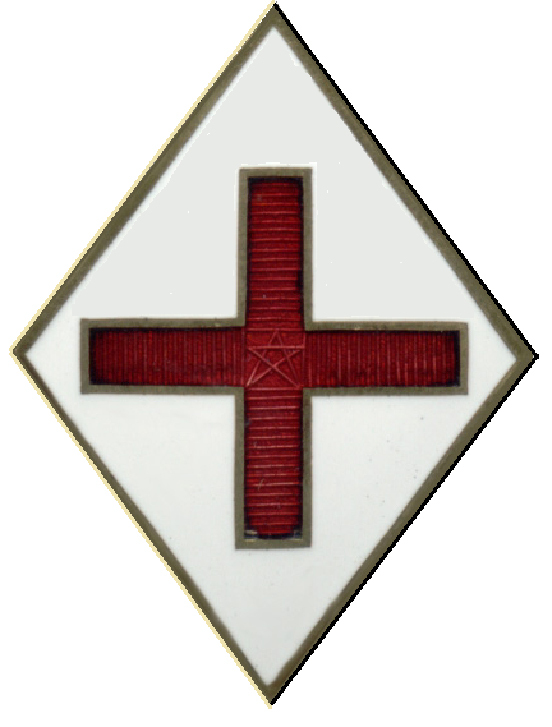 Within this lozenge, is a Greek cross which is composed of 18-bars in each of the four arms (a total of 72). At it's center is a pentagram within a square. This jewel is suspended from a ribbon attached to a horizontal bar. On the bar are found the letters "S.R.I.C.F." Within the SRICF, Fratres of the I° - VII° have a ribbon that is green. For Fratres of the VIII°, the ribbon is gold. 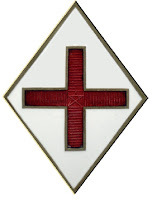 The jewel for the IX° is a mitre from which is suspended a red ribbon and jewel. The Golden ratio is a special number found by dividing a line into two parts so that the longer part divided by the smaller part is also equal to the whole length divided by the longer part. It is often represented by the Greek letter Phi (φ). The golden ratio is a ratio of 1:1.6180339887498948482. 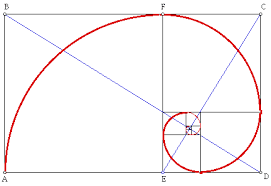 It is also known as the golden mean, divine proportion, golden spiral, and golden number (see Figure 3). The golden ratio appears in many patterns of nature such as in shell spirals or leaves. Many buildings of antiquity have the golden ratio in them such as the Parthenon in Greece. It was Euclid who linked the golden ratio to the pentagram. In Western occultism, the Golden Ratio symbolizes the relationship of God to His Creation. The number four has a number of symbolic meanings such as representing the Four Gospels, the Four Principle Tribes of Israel, the four winds, four elements, the four seasons, the four archangels, the Hayyoth, and so on. The 72 bars reminds of the membership limit for a College and the names of God (or the Shemhamphorash). 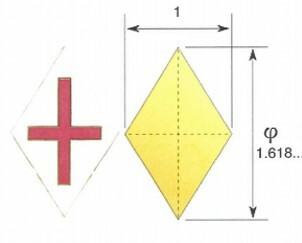 The pentagram, like the lozenge, is related to the golden ratio (see Figure 4). The pentagram symbolizes the four elements plus the spirit as the fifth element; specifically, it shows the spirit above the four elements and thus the victory of the divine over the material.